There is some pretty grave news for BlackBerry this morning with several news sources reporting that sales of its Z10 flagship in the US are, well, less than impressive. ET mag even suggests that returns of the phone might outnumber sales something which the company categorically denies. This contrasts with the story coming from the BlackBerry camp less than a month ago when it not only said that the Z10 was selling well in Europe but it had just landed an order for one million smartphones. Much has been written about BlackBerry’s meteoric rise and disastrous slide, but most commentators seem united on one thing – that the brand needed to offer an iPhone style touch screen phone. I wonder though if the brand has made an error though in the way that it has pushed the device at the expense of its more traditional style model the Q10. The Q10, which is reputed to land in the UK later this month,is a smartphone with a 3.1inch screen and a full QWERTY keyboard. It runs BlackBerry’s acclaimed OS 10 and has many of the features that debuted on the Z10. It is continuity for the brand rather than a significant break – which was what the Z10 turned out to be. I do wonder whether in following the agenda set by Apple, Samsung et al that BlackBerry has jettisoned much of what made its handsets special. The biggest problem with the keyboard phones is that they don’t sport a large screen – which makes them looks and feel a little odd when compared to much of what else is currently on sale. Here’s where I think BlackBerry went wrong. Instead of offering the Q10 as a kind of afterthought maybe the Q10 could have been the flagship. The difference could have been a significant increase in the size of the screen. Phablets – phones with five inch plus screens – are everywhere at the moment and yesterday Samsung unveiled a handset with a 6.3inch screen. I do wonder how BlackBerry’s core audience might feel if they were offered a handset with a keyboard and a larger screen. It could never be over five inches because of the requirement to accommodate the keyboard but it could certainly be larger than the 3.1inches offered the by the Q10 – 4.5 inches would be a possibility. That would be a real statement phone. A proper hybrid between a phone and a tablet and one that would enable traditional BlackBerry fans to use and send their text messages and email etc. Sure it would be big – but we seem to be fine with big phones now. We have allegedly seen BlackBerry’s road map for next year and there appears to be a phone which has a keyboard and a four inch screen called the R10. The disaster for BlackBerry is that it doesn’t appear to be scheduled until the time next year. I do wonder if this might prove to be the undoing of a once great brand. I am sure that we will see a handset like this in the stores soon – though I wonder it will come from Korea or China rather than North America. Exactly right !!! Why can't Blackberry see this ??? BB users love the physical keyboard + BB OS – it is by far the most efficient input system ever seen on smartphones. But we NEED a large screen as well !! Why not build a new Torch 9800 type slider phone with a much bigger screen, or a bigger Bold style phone with biggest screen possible maximised to the edge of the bevel like Samsung do ??? Why can Blackberry not twig that this is what we are crying out for ??!!! this article is so completely right that it is frightening: I am a long-time, typical BB user. I tried to like the Z10 but hate it (there are other non-keyboard phones that are far superior). 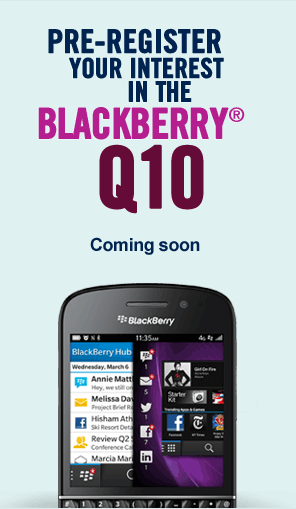 I am waiting for the Q10…but without much enthusiasm because of the small screen. I currently use a BB9900 which is the most current keyboard model – the Q10 will be a bit larger, but not enough to excite me (and now I hear the price is to be astronomical….all the more reason to keep the 9900). BUT if the Q10 came with a 4.5 inch screen I would buy it no matter what the price increase. Why BB thought the Z10 should hit the market first is a mystery – I guess they thought the BB10 OS was astoundingly better…..it's very good, but not enough to entice the “app generation.” BB is a BUSINESS phone company and always will be (if they survive) – as politicians understand, you've got to cater to your base first….then try for the other votes. BB did this exactly bass-ackwards. And it may cost them the company.